Absorin disposable diaper pants for very severe incontinence with resealable adhesive strips. The non-woven top layer allows moisture quickly and gives the skin a dry and soft feel. 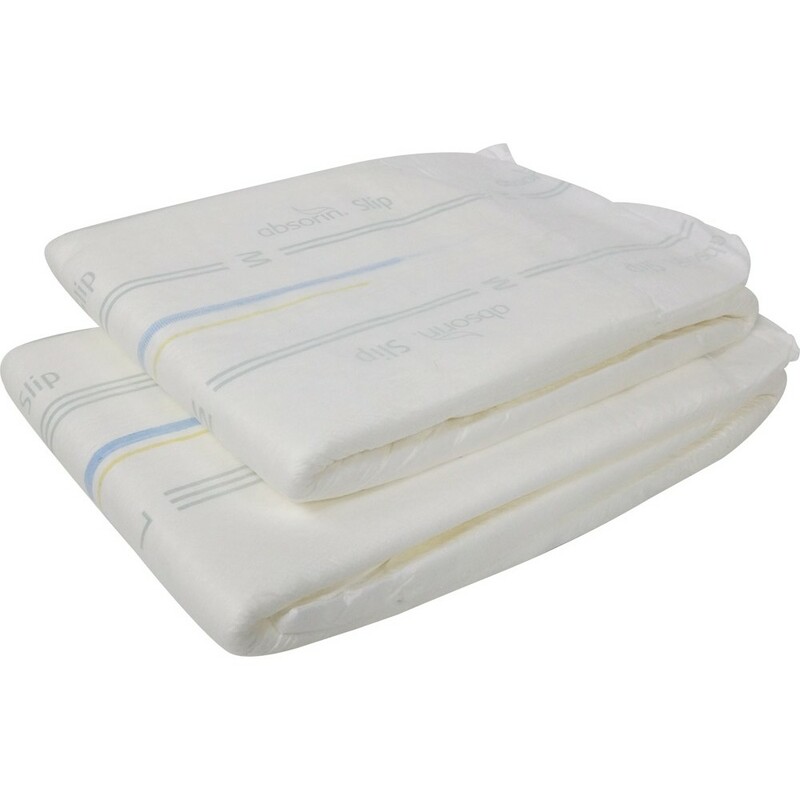 With the core in one double-absorber which ensures a rapid moisture uptake and distribution of urine. The Absorin SAP 3 + system slows bacterial growth, protects the acid mantle of the skin and prevents unpleasant odours. A protective layer of PE film prevents leakage. With urinary saturation indicator and anti-leak walls on the inside of the pant diaper in order to prevent leaks of urine and / or feces. The elastic waistband front and back ensure a good fit.